The chief culprits in mineral depletion within our body are the acid-forming foods we eat and what we drink( almost all of the fluids we drink on a daily basis are acidic. Coffe, te, milk, soft drinks, fruit juices and evn water. For example. a carbonated beverage has a pH of 2, orange juice is ph of 3, and average tap water is 4.5. So drink bottled water you may be saying–well it is typically a pH of only 6) and the other major cause of acidity is stress. In addition, antibiotics which can destroy the friendly bacteria create a problem because the bacteria that grow back are often acid forming and can potentially create a problem that could drain the body of health enhancing electrolyte minerals. Some other causes of electrolyte loss might be: strenuous exercise, sickness, infection, or even fasting. There is no such thing as a Universal Diet. People are individual and personal. So what works for one person may or may not work for the next. A balanced diet is very unique for each person. To find our proper balance, it is helpful to know not only your own personal needs, but the correct preparation of whole foods, how not to overeat, how to choose high-quality foods, avoiding too many unnatural food combinations, and the art of learning the broad range of nutritious foods including chlorophyll-rich plants, the best source of certain fatty acids, and the dangers of food chemicals especially synthetic chemicalse like aspartame, MSG, and food colorings. It is important that we maintain a perfect pH balance. The pH of the body systems have very exact ranges (Richard Anderson, Cleanse and Purify Thyself). He even points out that the food we eat must be at an optimum pH level before the body can absorb it. ome examples of pH ranges: saliva (6.0-7.0); stomach (1.0-3.5); pancreas (8.0-8.3); intestines (7.5-8.0) and blood (7.35-7.45). 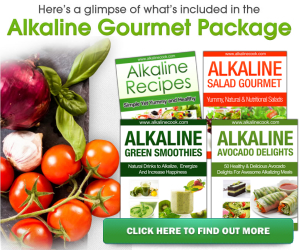 The acid and alkaline balance can be changed by simple practices such as by soaking mildly acid-forming foods such as whole grains and legumes before cooking them, starting the sprouting process, which is alkalizing. You could also Chew thoroughly the complex carbohydrates as grains, vegetables, and legumes in order to mix them with salvia, a very alkaline fluid that begins the digestive process. Another tip is, do not drink while eating, as this stops the digestive process from beginning within the mouth.